East Bank Theater—Will be filmed by a documentary camera crew! This event is FREE and open to the public, but RSVP is required so register today! 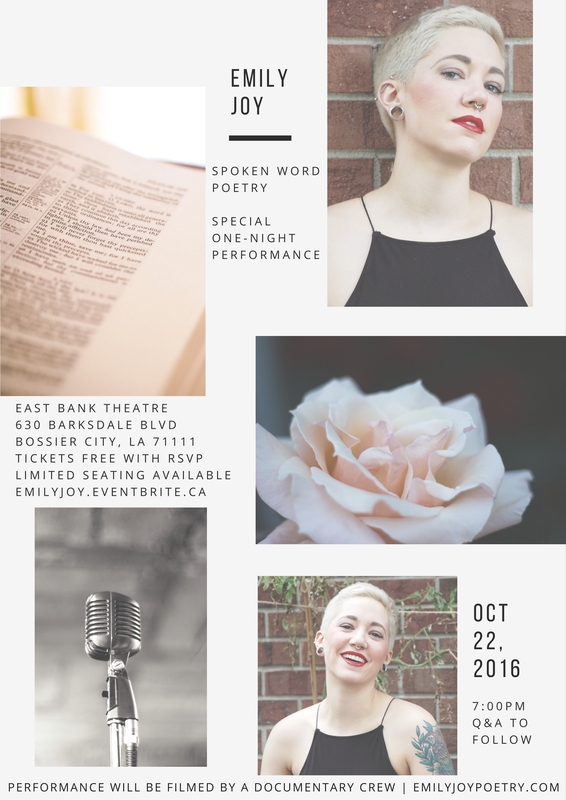 The event will feature a performance of spoken word poetry by Emily Joy followed by a Q&A, and will be filmed by a documentary film crew.